Today's post will be a very short one. I am watching The Last Samurai and I have a training to prepare for tomorrow. Time is already 11:00pm. So I have to do a quick one today, more urgent than the training is the movie I have to get back to. Whenever I am under pressure, my way of coping is to walk away from it all. Today I have been under immense pressure. We have our Lagos class holding next week and not one single person has made payment. Upper week we have our Abuja training. I have booked both training room and hotel room and have to factor in that no direct flight to Abuja anymore, again not one person has paid. Also next week I have a training session for a mix of managers and operations team at Promasidor. So the pressure is really up my neck. Luckily, I love the thrill it brings. My heart pounds rather than beat and I have Excel/power BI dreams when I sleep. So back to today's post. 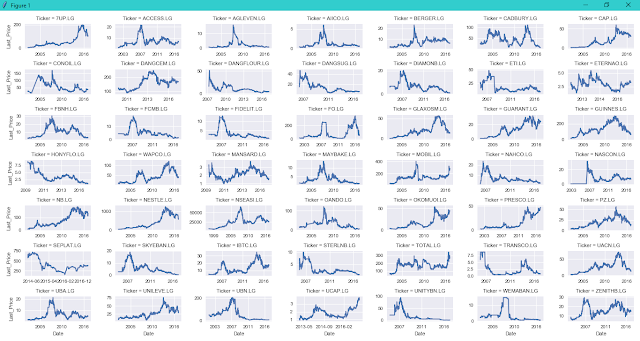 I hope you remember the one I made not long ago about same Nigerian Stocks analysis but with R. Well, I have replicated the major one with Python. 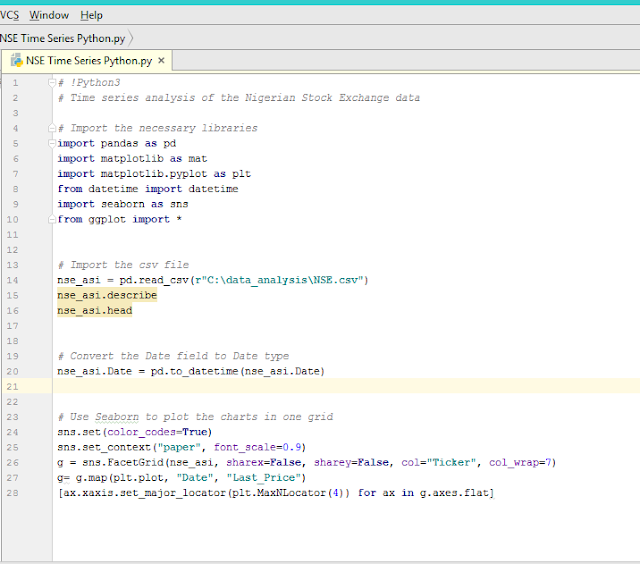 Below is the code and the analysis chart. 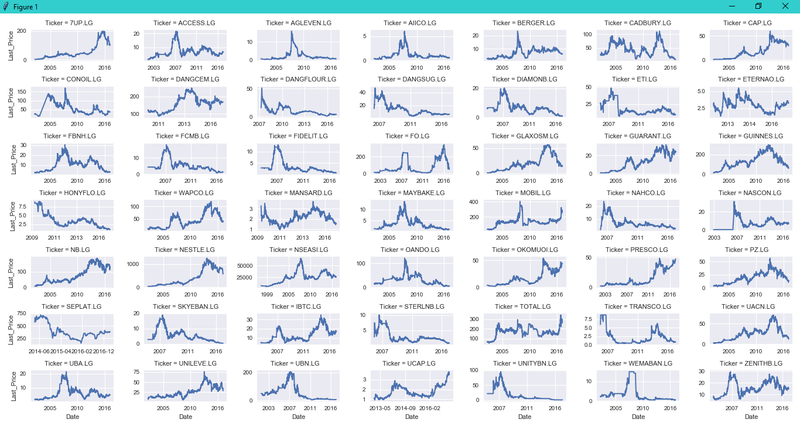 I am also already working on the next phase -- building a predictive model from the time series data. I have started already with R, but I am having trouble with the time series function I am to use, it's not working well for stocks historical data because weekend dates are missing making the time portion irregular. It's a small bridge and I hope to cross it soon. Till then, enjoy this.